Sales are inevitable part of any company’s functioning. The whole departments work over the leading negotiations with the clients and making contracts. A great sales department is able to lead the company out of the crisis and let it survive even in the darkest times. However, the weak salespeople are likely to switch off the interest of the possible customer even of it goes about the well-qualified product or service. Well, which traits are necessary for the prolific salesperson? Today we will talk about the rules of sales and also concentrate some attention on the IT-product selling. What do you know about your client? I remember myself getting a call when the operator tried to ask if I was interested in a new mobile application of a certain type. Even though I was, I did not buy it because of some important reasons. When I started making requests on certain details related to the functioning of the product, the salesperson was not able to answer. Instead of covering my point of interest, he used the words of appraisal and advertisement saying this product is innovative, up-to-date, and long-lasting. So, if talk about the rules of IT-product, we must exactly know all the technical features of it. For sure, if you have decided to promote an IT-product, you need be prepared for all the kinds of questions connected with IT-scope. People working in advertisement scope usually say that people make purchase basing on the emotions rather than sensible considerations. All of us know stories how trade workers sell not cars but the sense of freedom, drive and happiness. Well, does it always work? It depends on situation, so, a good salesperson should also be a great psychologist who judges the traits and needs of his customer immediately. As some specialists claim, there is only one category of goods where advertisement should consist of emotional ingredients only. Particularly, they are perfumes, elite goods, and upmarket services. As for the industrial equipment and military facilities, successful advertisement is likely to include the elements of sensibility. Then, in all other cases market analysts divide the ways of communication on emotions connected with belonging to reference group and sensitivity experienced because of associations with the exact brand. For example, it has been approved that office clerks bought Marlboro been driven by the desire to resemble rugged cowboys. Nevertheless, one should not forget that the quality of a product or service has to stay on the first place. This factor creates demand. It means, those who initially try to launch a famous brand and only afterwards deal with successful product are going to fail. The entrepreneur and writer Stephen R. Covey offered a great strategy in his book ‘The Seven Habits of Highly Effective People’. This work that was published for the first time in 1989 has not lost its relevance. The idea of win-win means that you have to help a person but you should not sell in case you cannot lend a hand to him. While trying to sell the product, be attentive towards the needs of a customer and ask questions about his real problems. If a salesperson knows that his key task is to help people, the customers will, definitely, feel this purest desire. Nevertheless, for a person who knows how to rule the company but is not sure what to do with the sales, there is one option. If you are a bit confuse and do not know which business direction to choose, you should get real-time visibility on your sales or inventory information with NetSuite ERP and encourage successful functioning of the sales department. It can be tough to save money on health costs in America. As a nation, the U.S spends double that of Sweden and Ireland on health care. For the average citizen it can be very difficult to see the benefit of that extra buck. According to the American Medical Association, almost 90% of U.S health cost increases since the year 2000 have been a result of doctor visit price, drug cost spikes, and administrative costs. This means that health care costs are not actually rising due to an aging population as is popularly believed. Though troublesome, this also indicates that we have more control over what we spend on health than popular opinion indicates. Here are five ways that your health care expenses are secretly overpriced. Make an ally of your doctor – Many are not aware that the price of healthcare is not universal whatsoever. Falling victim to overpricing can be explained by a lack of attention to detail. When searching for an affordable medical service, consult your primary doctor for advice. Especially since it is your primary physician that likely diagnosed you, they will naturally be in the best position to advocate on your behalf. Because the price of hospital care can vary so much, it is important to ask your doctor about his opinion on different locations. It is often the case that only particular hospitals will work closely with patients to come to a lower cost. Additionally, your doctor themselves will pose a much greater chance at negotiating a lower cost on your behalf. Too often patients go searching without knowing the cost of their procedure, leaving them prone to paying too much. Before speaking with your doctor or a healthcare provider, be sure you know the “current procedural terminology” code for the particular procedure you are seeking aid for. Using this code, you can compare the prices of a particular health care service across multiple locations. The cost of any medical treatment originates from a source, and that source is often the billing department. By going to the source and speaking with the billing department of a hospital or practioner office, you can speak directly with personnel who can alter the costs of your procedure. This is the best way to understand what costs in particular are high, giving you the best shot at having them lowered. Often it is a particular payment method that explains why a procedure is so overpriced. If you’re lucky enough find pricing information for multiple locations, try price-matching methods with your local options. If this fails, discuss alternative payment methods. For example, you could negotiate a lower price in return for making a quicker payment than is normally expected. As tedious as it may sound, changing your health insurance plan can help you save big on the costs of particular expenses. For example, millions end up spending too much because their health care plans don’t include full dental insurance. Thankfully, there are plenty of all-inclusive plans that are proven to help families and couples save money over the long term. If, like most consumers, you weren’t very good about keeping your New Year’s resolutions, but you’re still hoping to end 2015 with more money in the bank than you have now, the next 10 tips and bits of advice will definitely help you meet your goal. Enjoy. Tip #1: Start using Cash instead of credit and debit cards. This is a simple strategy that will help you to spend less, sometimes drastically. If you take out a specific amount of cash at the beginning of the week and don’t spend more than that, you will not only quickly realize how all of the little purchases you make add up, but you will also spend less overall. Tip #2: Increase your contributions to your 401(k). This is really a no-brainer. If you have a 401(k) at work you definitely should be putting in as much as possible, especially if your employer has a matching program that matches a specific amount of the contributions that you make. Tip #3: Make one of your goals this year to pay down as much credit card debt as possible come out while not creating any more debt. Start with the credit card that has the highest interest rate and, once that’s paid off, start with the next and keep going. Do that until everything is paid down and, during that time, don’t put anything new on your credit cards unless it’s absolutely necessary. Tip #4: Start putting 10% of your income aside every week. You’ve heard the Nike slogan “just do it” and that’s exactly what you need to start doing with your income; Just save it. 10% a week is really not that much but, at the end of the year, you’ll be amazed at how much money you have in a savings account, emergency fund or IRA. Tip #5: Raise the deductibles on your insurance. The way you need to look at insurance is in “catastrophe mode”. If something small happens and you have to pay $500, $600 dollars or even up to $1000 out of your own pocket, the savings that you will get from increasing your deductibles really make it worth it for the time when something devastating happens and you need, say, $180,000 to replace half of your home that was torn up in a tornado. Tip #6: Make more money! If you think you don’t have enough time or energy to earn more then think again. Even if you have a full time job there are still plenty of ways to earn extra cash. An easy one that comes to mind is writing SEO content for bloggers. You can earn as much as $50 an article once you become established. The best part, you can earn this money from the comfort of your own home. It’s not easy to save when you’re young, fresh out of college and just starting out in the world. Sometimes the priority is not about savings or making an investment but food, rent, going out with friends and loan payment. But what they failed to note is that you’re in your 20’s saving up should be one of your goals. It might feel like you’re trying to build a three story house using straws but saving up for retirement and for stuff such as investments at your 20’s and 30’s is really the best. But anyone nearing retirement age will tell you that the years slip by and that building a sizable nest egg becomes much more difficult if you don’t start early. Also, you’ll probably acquire other expenses you may not have yet, such as a mortgage and a growing family. So what would be the best start for you to be able to save money while you’re still young and able? Remember the saying that it takes 21 days of practice for something to become a habit until it becomes a permanent fixture in your life? This is the same with savings. By practicing it daily/weekly, it’s important to establish a savings habit while you’re young. Begin saving small, effortless amounts and watch your savings account balance grow. Do contractual or part time work on the side. You may also invest in a business as a silent partner or start looking at the rental properties section of real estate websites and delve into the real estate market. Learn to play the currency markets or trade stocks. Do whatever you can to generate income from multiple sources. A good thing is to have a cheap life insurance policy that pays dividends. Grow these multiple revenue streams to the point that they produce adequate consistent and reliable cash flow to replace your current income. Do not fall into the traps of yuppies where they overspend more than what they’re earning. Overspending is one of the biggest financial problem for a lot of people, and this can be addressed by creating a budget, living a lifestyle tailored fit to saving money and working toward healthy spending habits. Making sure that you have an emergency fund will protect you and help you keep your finances on the right path. Even when life hits you with unexpected or big expenses, you’ll have the emergency fund to act as a buffer for unexpected expenses — instead of having to use money saved for other goals, or worse, go into debt. As a rule of thumb you should squirrel away at least 3 months’ worth of living expense but if you can afford to save at least 6 months’ worth it will be better. Remember the earlier you initiate saving for retirement, the better. When you start early, you have the opportunity to put away less money a month since compound interest is on your side. Think all retirement accounts are equal? If you do, you could be losing out big on your investments. You might think you’re in great shape by investing in a tax-deferred 401k through your employer as well as a separate investment account of your own, like an educational IRA. Investing in municipal bonds and REITs in one account and equities in another is fine as long as your overall asset allocation is okay, right? Wrong, due to one important detail: tax structure. Making the mistake of ignoring tax structure and not allocating investments properly between retirement accounts can make a big difference the future value of your investments. Let’s look at an example for why taxes matter have such a big impact. Silly Sam and Smart Sarah both have identical asset allocation goals. They both have the same total balance ($50,000) in their retirement accounts. Silly Sam doesn’t pay attention to the tax structure of her accounts when she invests. But Smart Sarah wisely pays attention to taxes when deciding which account to hold investments in. Silly Sam invests $50,000 of her money into a fully-taxable investment, paying taxes at a rate of 25% per year on returns from this investment based on a online tax tool. Smart Sarah invests $50,000 in a tax-deferred investment account. Her investment grows tax-free, and she only pays taxes once she takes distributions in retirement. Assuming an 8% annual rate of return and a 25 year investment period, Silly Sam’s investment is worth about $214,000. However, Smart Sarah’s investment grew to almost $330,000 because she didn’t have to pay taxes as her investment returns compounded. Don’t forget: Sarah still needs to pay taxes on her investment when she receives distributions from her account. But even after taxes, her investment still performs well. Assuming she pays the same 25% tax rate on her $330,000 future investment, she’ll still have $247,500 after paying about $82,500 in taxes. That’s $33,5000 (nearly 16%) more than Sam! Even better news: Sarah’s tax rate depends on her income when she takes money out of her retirement account. If her income is lower in retirement, she might pay an even lower tax rate. If her tax rate is only 10% in retirement, her investment will be worth $297,000 after taxes and she’ll have $83,000 (about 39%) more than Sam. Now that you’ve seen the difference, you’re probably itching to know more about your retirement account options so you can end up like Smart Sarah instead of Silly Sam. Retirement accounts fall under three general tax structures: fully-taxable, tax-deferred, and tax-exempt. Fully-taxable accounts are those that aren’t special retirement accounts like a 401k or IRA. They’re funded with after-tax dollars, and returns from these investments are taxable in the year they’re received. These earnings are taxed as ordinary income (except in cases where the long-term capital gains rate applies). Even if you don’t sell investments held in your taxable account, you may still owe taxes on dividends, interest, or on sale of stocks by a fund manager. Tax-deferred accounts, which include traditional 401ks and IRAs, are funded with pre-tax dollars. Investments are allowed to grow tax-free until distributions are made from these accounts. The main benefit is the tax-deferred compounding of investments that’s highlighted above. Tax-exempt accounts, like Roth IRAs, allow your money to grow and typically be withdrawn tax free. The disadvantage is you’ll have to fund your accounts with after-tax dollars. But as long as you follow the rules, you won’t ever have to pay taxes on this type of account. Special retirement accounts do have more rules than plain, taxable accounts. For 2013, your income must be below $127,000 if filing as single or $188,000 if file a joint return to contribute to a Roth IRA. If you make more than this, a 401(k) is still available as it’s not income restricted. Both tax-deferred and tax-exempt accounts typically have contribution limits for each tax year. 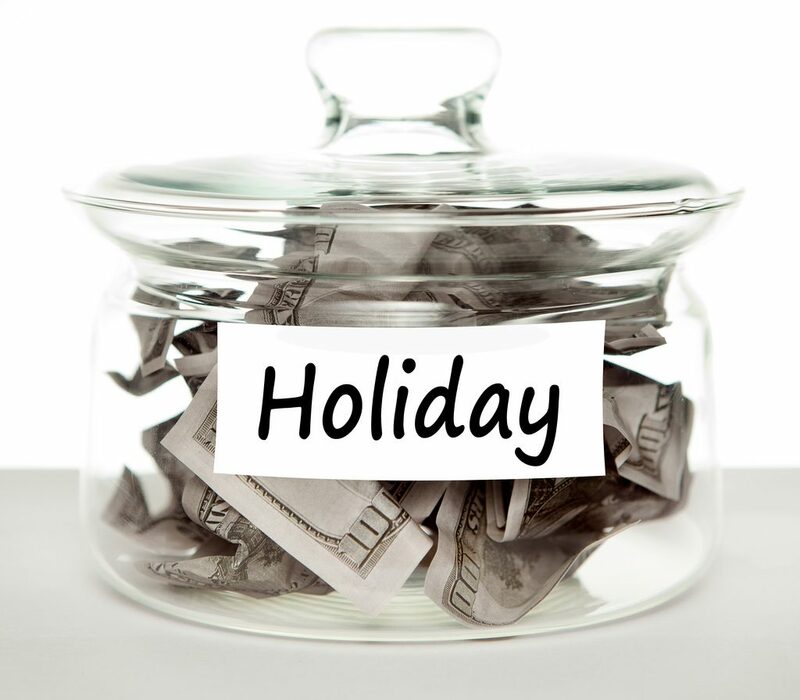 For 2013, total contributions to IRAs is capped at $5,500 ($6,500 if age 50 or older). 401k and similar plans are limited to $17,500 for 2013. Employee match. If your employer matches 401(k) contributions, contributing up to the full match almost always makes sense. This is basically free money and is like receiving a 100% return on your investment right from day one. Time horizon. If you have decades until retirement, Roth IRAs are often the better option. If you’re early in your career with a lower salary, your income tax rate is likely low than it could be later in your career. Tax rate expectations. From the last bullet, the opposite can also be true. If your tax rate is high now but you expect it to be lower when you’re ready to withdraw retirement funds, a 401k may result in less tax owed. Flexibility. Taxable accounts typically don’t have any restrictions or penalties for withdrawing your money at any time. For retirement accounts, you may be subject to a 10 percent penalty for withdrawing funds before age 59 1/2. Tax diversification. While you can calculate returns and investment returns based on today’s income tax rates, we don’t know what tax rates will in the future. With this uncertainty, having a mix of investments that are tax-deferred and tax-exempt on withdrawal may be a good strategy to protect yourself. Remember that your decision should be guided by a calculation based on your specific circumstances including your view of future income and taxes. I know it’s been a few weeks since I’ve given any updates, but I’m working on a big post about quitting my job (which I did 2 weeks ago). Look for it soon. 5 Ways to Travel on a Budget – As you know, I try to travel as much as I can (even though I don’t have a ton of money to do it). Here’s some of my best tips for traveling, especially for recent graduates that might be faced with the tough decision of traveling and going into credit card debt to do it. That’s it for now. Thanks for stopping by!